First image of our new sustainable, timber-clad office in Hampton! More pictures (and inauguration party) to follow soon! We have recently visited one of our projects on site which involves a rear and side extension to a large 1930's hour in Wimbledon. The new impressive kitchen/living space is bright and spacious and opens to a beautiful rear garden. We can't wait to see the finished product! We have recently visited one of our projects in Twickenham which includes a rear brick extension to a 1930 house. 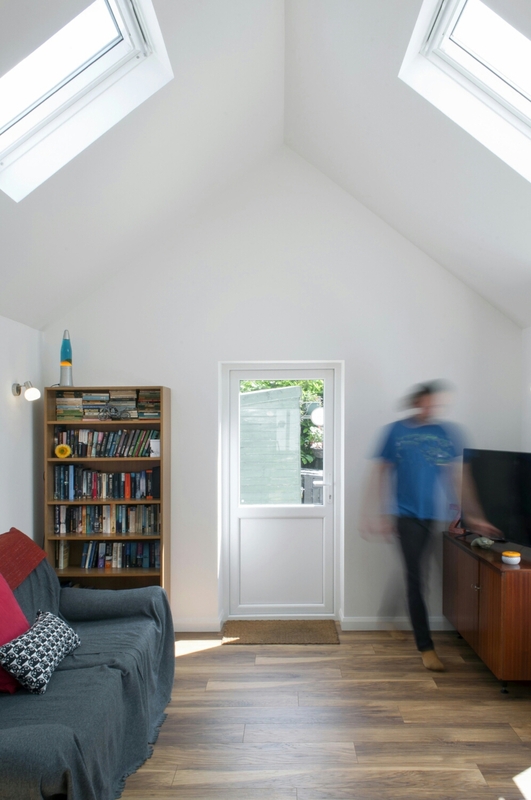 The extension allowed to have a new bright and spacious Living/Kitchen/Dining open space. More pictures to follow soon! 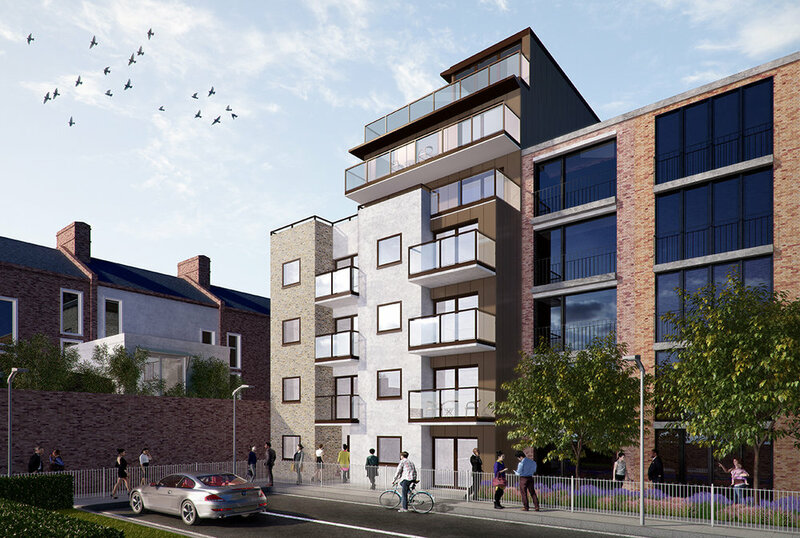 We have been appointed to undertake the interior and lighting design of 9 apartments within a multi-storey residential building in Walthamstow. More information here. 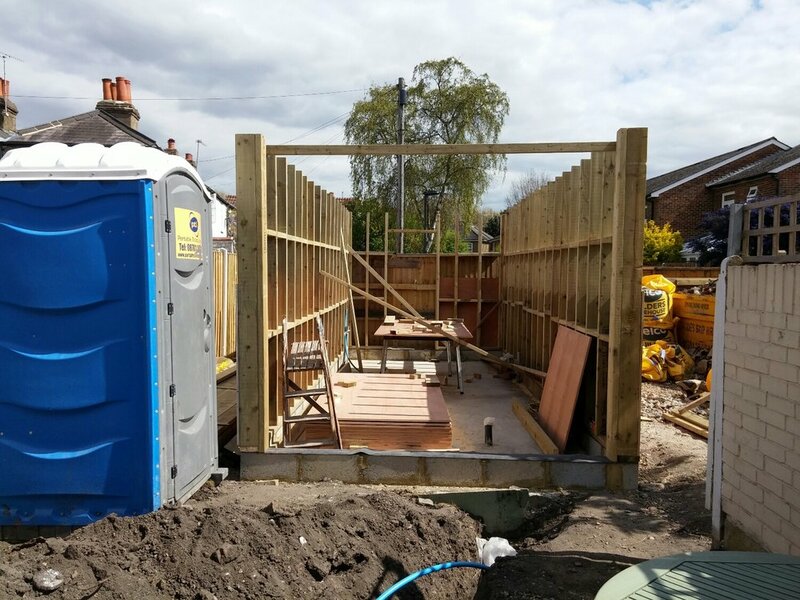 Construction of a ground and first floor extension in East Molesey has started. In the picture the vaulted ceiling master bedroom. The office's siberian larch cladding supplied by Russwoodill be installed this coming week and it will provide durable and sustainable weather protection to the outside wall. More pictures to come! Check our latest project, Rear Extension in Hampton Hill! Come join us at at the Ask an Expert RIBA pavilion of Grand Designs Live at London Excel. We will provide free advice to homeowners until 6pm! Timber structure on its way. The weather is helping! 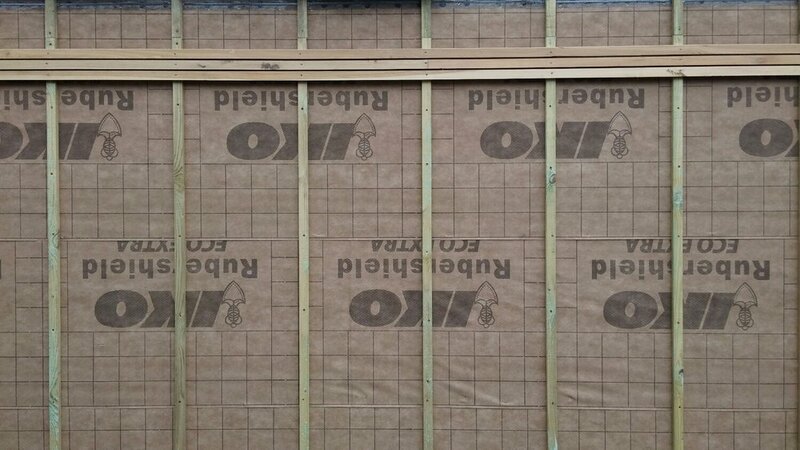 Foundations, floors underlay and dpm have been installed. Timber structure going up today! For the second year in a row we are participating at the Ask an Expert Section at Grand Designs Live London on May 6th. Come and say hi if you are around! Construction of our new studio has begun! SOA have been appointed to produce a feasibility study for two flats in Primrose Hill. 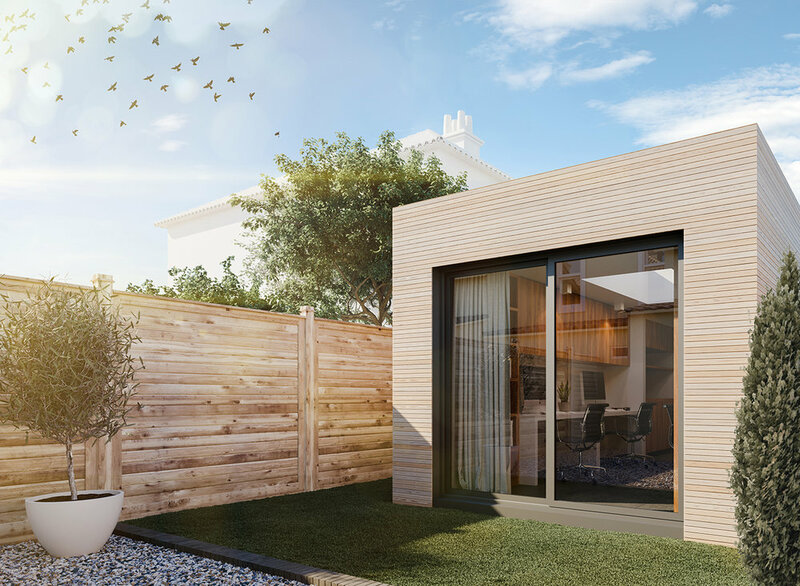 First images of our new project for a garden office in Hampton. Construction will start soon!